We can tell you anything you want about a safe, but true value comes from what people are saying about Browning ProSteel Safes and real life experiences. 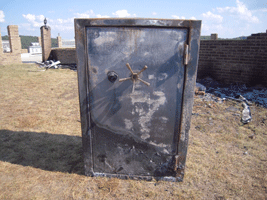 It is unfortunate that tragedy has to happen to anyone, but when it does, we want to make sure the owner of a Browning ProSteel Safe is protected. "Browning ProSteel Safes offer the single best combination of security, options, competitive pricing and customer service. Of course, this is an opinion -- but a heavily researched opinion." "My family unfortunately experienced a major house fire...I was certain that the items inside the safe would be a complete loss like the rest of our home...to my amazement I found every item inside the safe was in great condition." 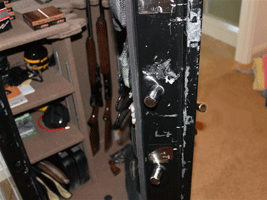 "We were initially attracted to the Browning Prosteel Safes by the mere looks...but we found out the real importance of the Browning ProSteel Safe [when] our house was burglarized...they spent a lot of time and effort unsuccessfully trying to get into the safe."